Timber Ridge folding table TRTB99431BR is a portable, lightweight and easy assemble camping table. 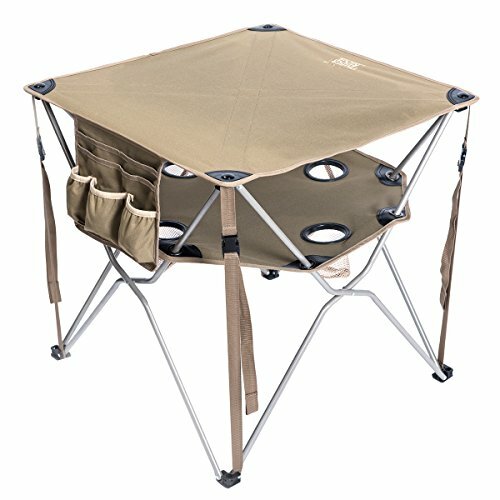 You can take this table anywhere with the carry bag (included). Desk equipped with 4 cup holders and a storage board on the middle of the table. Top level can be used for food and games; bottom level provides extra storage and can hold your beverages. Great for outdoor activities such as Camping, Hiking, Picnics, Fishing, Sporting Events, Garden, BBQ and so on. A great HOLIDAY GIFT for friends and families.